How to get WCAG Compliance with WordPress Theme? 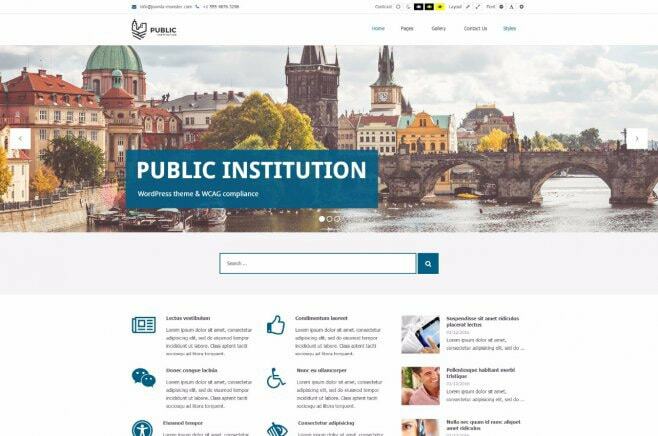 You should already know that website content accessibility is a very important feature of a latest web design requirements for websites related to public institutions offices. Launching a website that benefits users with disabilities do not have to be a complicated task. The best way to build an accessible website is just to use a ready WCAG WordPress theme. WordPress is the world’s most popular CMS and a great tool to publish the content. There are many modern WordPress themes ready to meet the requirements of an user-friendly theme. 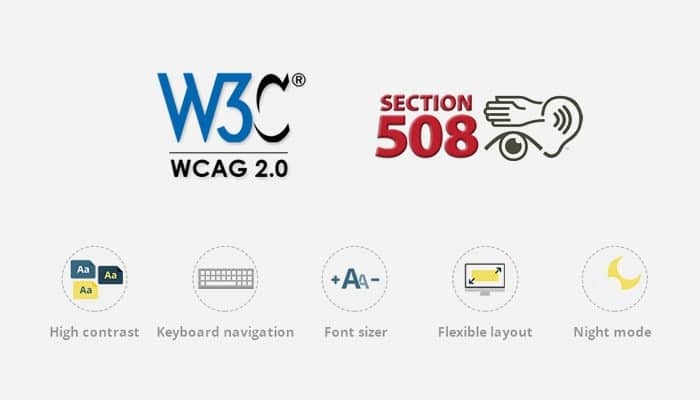 Every website including such features has the right to be identified as the accessibility-ready and that means that it follows WCAG (Section508) recommendations for creating websites for people with disabilities. The accessibility really matters. Besides making navigation through the website for users with disabilities it gives good business results. Nowadays it is also a requirement by law for many public institutions sites. Let’s learn more about WCAG standards. Web Content Accessibility Guidelines 2.0 WCAG are a series of recommendations for web developers and websites owners. They concern adapting websites to be accessible for people with various disabilities. WCAG guidelines are not all, there are the basics only. It can be done more. Always. In the web, you can find many useful tools that we can recommend for creating the fully accessible site. WordPress developers like PixelEmu offer ready-made solutions for creating a website that fully complies with WCAG. It should be also mentioned that PixelEmu and Joomla-Monster are the same teams, so they come with a huge baggage of experience at creating Joomla accessibility-ready templates. All you need to do is install a WordPress, then install the WCAG ready theme and you are almost there! We encourage you to explore the WCAG category of WordPress theme available at the PixelEmu site. All themes showcased there are tested to meet the WCAG 2.0 requirements for making web content more accessible. Let’s introduce accessibility-ready WordPress themes now. It’s a versatile and responsive theme for WordPress that comes with a clean design. Purposed for any business site. Created as the solution for business services presentation and professional company introduction. As you can see the theme’s demo site offers different example versions. 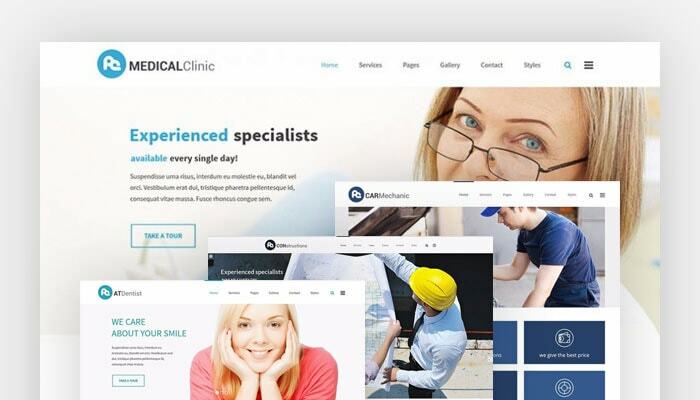 It does not matter whether you want to create a doctor WordPress theme, medical clinic WordPress theme, constructions company or car services website. The multifunctional purpose of PE Services makes it an interesting alternative! This feature rich WordPress theme gives you everything you need to launch a website immediately! It’s an education WordPress theme purposed for school, college, university or any education website. 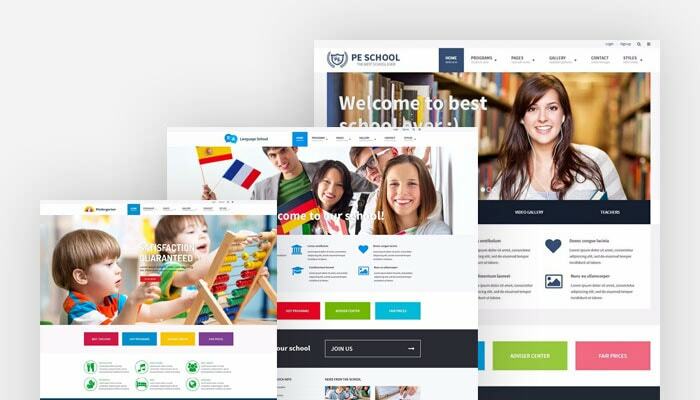 This responsive beautifully designed WordPress theme comes with many useful solutions for school sites. For example, you are able to display a lessons schedule, education program or any other important information. Another useful feature it the presentation of teaching stuff. You are able to present each teacher along with his photos, description, links to social profiles and contact details like email address or phone number. PE School gives you many configuration options like colours, fonts, layout, settings and more. Check the demo site and see what if offers. There are two variants of blog views for example. It’s a responsive city office WordPress theme that comes with a clean and modern graphic design. Purposed for public institutions sites, community office, fire brigade or city office. Check the demo site, and see the examples of showing the development plans or city news. We highly recommend you to use one of WordPress themes listed above. We are sure that you will find these themes very helpful when you’ll be creating or redesigning your accessible ready website. Please remember that many parts of your website can be improved and making site accessible is not difficult but it’s important – think about the benefits! Use the WCAG ready WordPress themes, meet the necessary requirements for web pages and simplify the life of your website’s users.